Amazing accomplishments aren’t just for young people. Seniors across the globe are showing that they can do things that are just as incredible as people who are less than half their age. Some are breaking records or achieving lifelong dreams, and some are just spending time with family or helping to make their community a better place. Regardless of their goals, these seniors are amazing and deserve a round of applause! Many seniors decide to spend some of their golden years travelling and going to places they weren’t able to visit earlier in life. Some take travel to the extreme and end up breaking records in the process. 1. 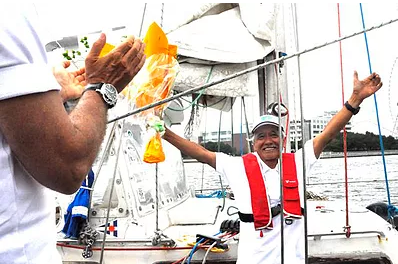 Minoru Saito from Japan became the oldest person to sail solo and non-stop around the world in 2011 at age 77. That circumnavigation was his eighth; Saito began sailing in 1973 and had previously completed 7 solo trips around the globe. He broke his own previous record, which he set in 2005 at age 71. He started his eighth journey in October 2008 and hoped it would take around 287 days. Due to a multitude of delays, the trip took nearly four times longer, capping off at 1080 days. 2. 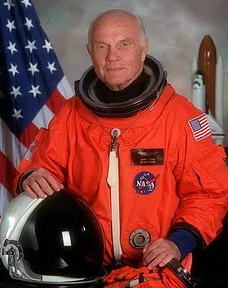 In 1998, John Glenn became the oldest astronaut when he went to space as part of Space Shuttle mission STS-95 at age 77. He did so as a sitting U.S. Senator, and spent 11 days in space before returning to Earth. Glenn had previously been to space in 1962 as part of the Mercury space programme. He was one of the first American astronauts sent to space, and was the first to orbit the Earth. 3. 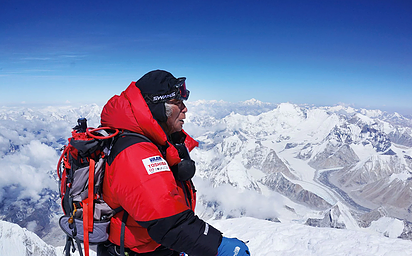 The oldest person to reach the summit of Mount Everest is Yuichiro Miura who did so at age 80. Miura, who is Japanese, had completed the feat previously at age 70 andagain at age 75. 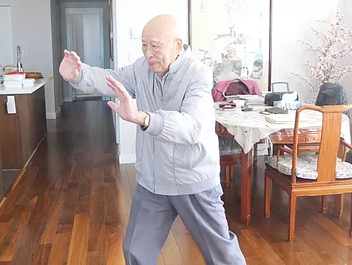 He had to overcome a variety of medical issues to complete his journey for the third time, including multiple heart operations, pelvis surgery, and a battle with diabetes. However, these issues don’t seem to be dampening his resolve at all: he plans to make the journey again in 2022 at age 90. It’s a good idea for seniors to stay socially engaged in their communities to avoid loneliness and isolation in their later years. Some go the extra mile and decide to help out their communities by volunteering their time. It’s important for seniors to stay fit and healthy in their later years, but some go a step further and achieve amazing athletic accomplishments. 6. 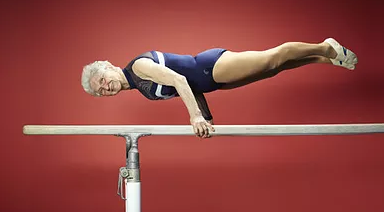 One such athlete is Johanna Quaas from Germany, who is recognized as the world’s oldest gymnast at age 86. Quaas, who is a retired P.E. 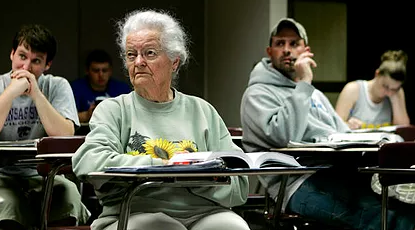 teacher, only got her start in the sport at age 56. Quaas says that she doesn’t have any health worries at all, and hopes to still be competing at 90. Although she only practices gymnastics twice per week, she makes sure to do some sort of exercise for an hour each day. 7. 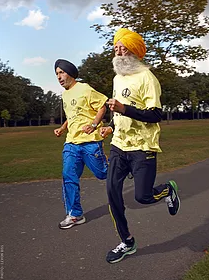 Another record breaker is Fauja Singh, the world’s oldest marathon runner. Singh was still participating in marathons as recently as January 2016 when he ran in the Mumbai Marathon at age 104. Singh, who lives in the UK, has achieved significant notoriety for his running. He was featured in an Adidas ad campaign in 2004, and has carried the Olympic torch twice – at the 2004 Athens Olympics and the 2012 London Olympics. 8. Some seniors aren’t as interested in breaking records, and instead simply prefer spending time with family. 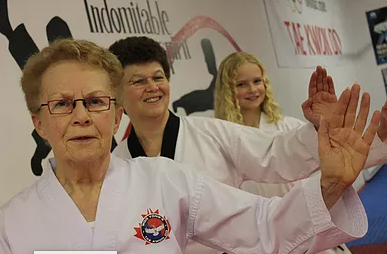 At age 72, Halifax native Hanna Fraser became the 3rd generation of women in her family to achieve a black belt in taekwondo. Many in Fraser’s family had already achieved their black belts, including her daughter, son-in-law, and two grandchildren. In fact, Fraser’s 10-year-old granddaughter received her second-degree black belt on the same day that Fraser received hers. Some seniors dream of accomplishing something for their whole life, but only achieve their goal in their later years. This could be by choice, or because they didn’t have the opportunity to do so earlier. Whatever the case may be, they deserve congratulations for finally making their dreams come true. 10. 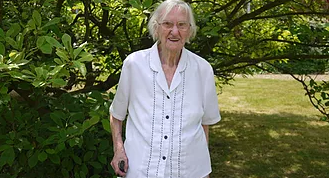 In 2017, Irish racer Rosemary Smith became the oldest person to drive a Formula 1 car at age 79. Smith was a rally race champion in the 1960s, and won many trophies. However, Formula 1 cars are much faster than the rally cars that she used to drive. Smith said she was “nervous and terrified”, but decided to do it as it was a lifelong dream. Smith is retired from rally racing, and has spent her recent years running a driving school and campaigning for better education for young drivers. All the seniors on this list deserve respect and admiration. Despite being in their later years, they were able to accomplish extraordinary achievements. People like them prove that anyone can do amazing things at any age.